Congratulations to faculty member and film editor Ann Collins on her impeccable work on the upcoming Netflix release Joan Didion: The Center Will Not Hold. Billed as Director Griffin Dunne’s years-in-the-making documentary portrait of his aunt Joan Didion, the piece moves with the spirit of her uncannily lucid writing: the film simultaneously expands and zeroes in, covering a vast stretch of turbulent cultural history with elegance and candor, and grounded in the illuminating presence and words of Didion herself. 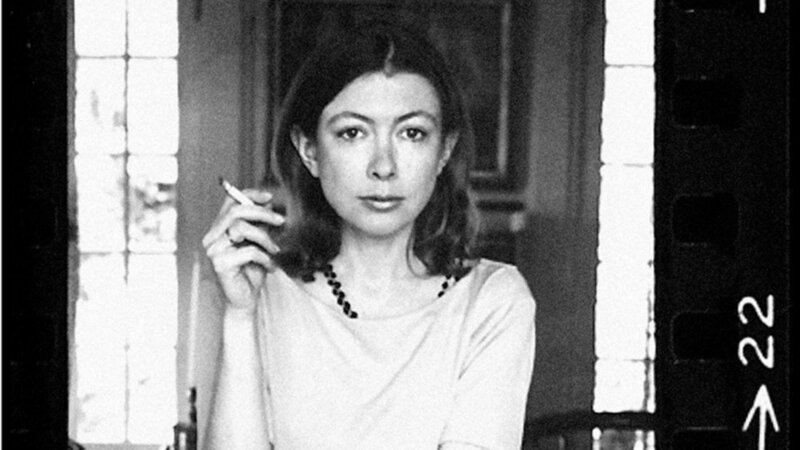 This is most certainly a film about loss—the loss of a solid American center, the personal losses of a husband and a child—but Didion describes everything she sees and experiences so attentively, so fully, and so bravely that she transforms the very worst of life into occasions for understanding. The documentary will be making it's world wide debut at the 55th annual New York Film Festival with screenings on October 11 and October 14 before becoming availible on Netflix in late October. Tickets go on sale September 10th. For more information and to reserve tickets, please click here. Author Joan Didon at home in Hollywood. Image courtesy of Ann Collins.